Stunning 1,704 sq.ft. new-build home with lots of light, quick close! 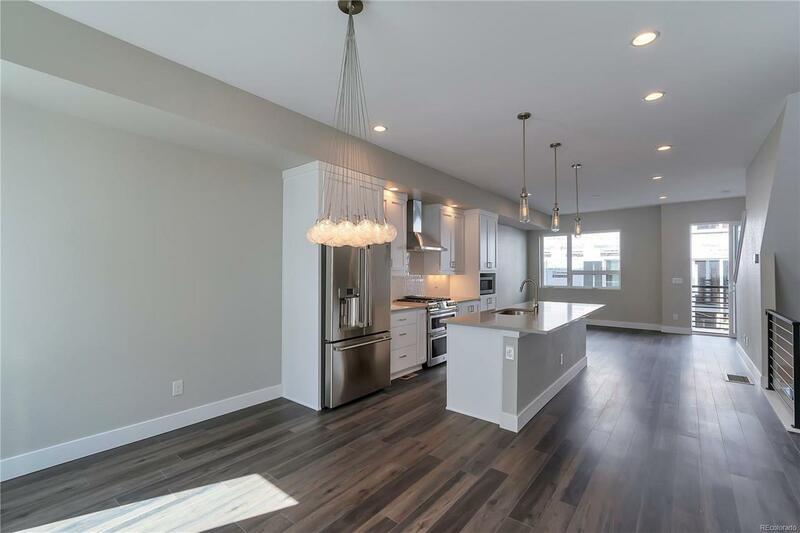 Interior unit with Juliet balconies at 2nd & 3rd levels, 3 Bedroom, 3.5 Bath & 2 Car Garage, large 4th level rooftop patio with scenic views of the mountains, Sloans Lake & downtown. Professional designed with ton of upgrades, across from Walker-Branch park. 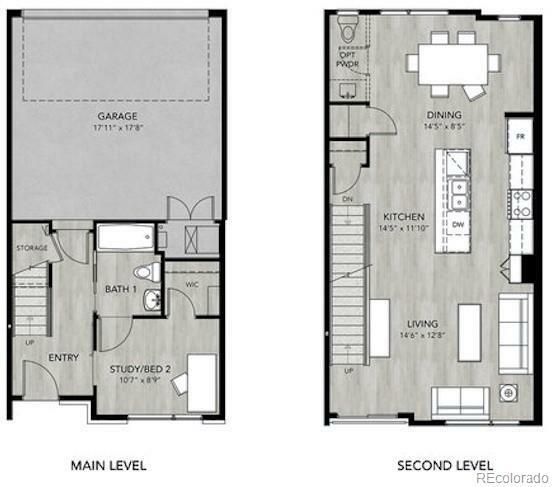 9-foot ceilings on 2-3 levels & flow-through dining, kitchen & great room layout. Painted White Silver Maple cabinets, Tullamore quarz kitchen island, SS appliances, gas cooktop & under cab lighting. This space is perfect for entertaining. LVP Lam flooring at 1-2 levels. 4-piece master bath featuring quartz dual vanity & rain shower. Full sized stackable laundry on the 3rd level. Powder bath at 2nd level & Carrier 98% efficient furnace & tankless water system. Just blocks to Sloans Lake, new Edgewater Public Market & St. Anthony's redevelopment area. 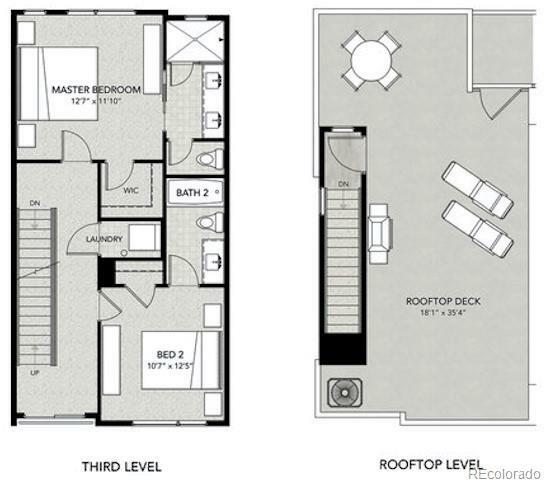 Party-wall agreement & no HOA, photos are of model home. Offered by Highlands Real Estate Group.